Prehistoric Europe: Theory and Practice provides a comprehensive introduction to the range of critical contemporary thinking in the study of European prehistory. Andrew Jones is currently a lecturer in archaeology at the University of Southampton. He is the author of several books including Archaeological Theory and Scientific Practice (2001). 1. Frameworks for the Analysis of European Prehistory. (a) Hunter-Gatherers to Farmers? : Mark Pluciennik. (b) The Celts as ‘Grand Narrative’: John Collis. (a) From Monuments in Landscape to Landscapes in Monuments: Monuments, Death and Landscape in Early Bronze Age Scandinavia: Joakim Goldhahn. (b) Everything in its Right Place? On Selective Deposition, Landscape and the Construction of Identity in Later Prehistory: David Fontijn. 3. The Living House – Architecture, the Everyday and the Human Lifecycle. (a) First Households and ‘House Societies’ in European Prehistory: Dušan Borić. (b) Domestic Times: Houses and Temporalities in Late Prehistoric Europe: Fokke Gerritsen. 4. Materiality, Technology and Transformation – The Emergence of Novel Technologies. (a) The Emergence of Pottery: Dragos Gheorghiu. (b) The Emergence of Metalworking: Barbara Ottaway and Ben Roberts. 5. Death, Remembrance and the Past. (a) Engaging Memories of European Prehistory: Katina T. Lillios. (b) The Past in Later Prehistory: Bryan Hanks. 6. Identity, Community, the Body and the Person. (a) Neolithic Bodies: Alasdair Whittle and Daniela Hoffman. (b) Bodies and Identities in the Scandinavian Late Iron Age: Ing-Marie Back Danielsson. 7. Interaction, Trade and Exchange. (a) Approaches to Trade and Exchange in Earlier Prehistory (Late Mesolithic–Early Bronze Age): John Chapman. (b) Trade and Exchange in Later Prehistory: Peter Wells. 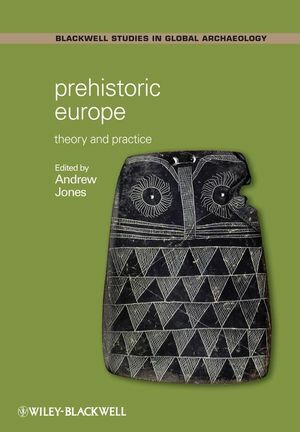 "This edited volume provides a welcome break from the traditional chronological approach to European prehistory. Important disciplinary themes are addressed here in innovative ways by a group of scholars with active field projects as well as impressive publication records." "An impressive compilation of papers which successfully combines novel and theoretical approaches with detailed regional studies. Jones has assembled a galaxy of leading scholars to produce an authoritative overview of key themes and subjects within European prehistory, from the Iron Gates Mesolithic to Iron Age Scandinavia." "Massive amounts of new information exist from all periods of prehistoric Europe and older frameworks of interpretation are increasingly inadequate to the task of making sense of these. Prehistoric Europe brings together a wide range of approaches which show exciting possibilities for novel ways of understanding the past. It is a book to be debated and argued with - I am sure new insights will result."